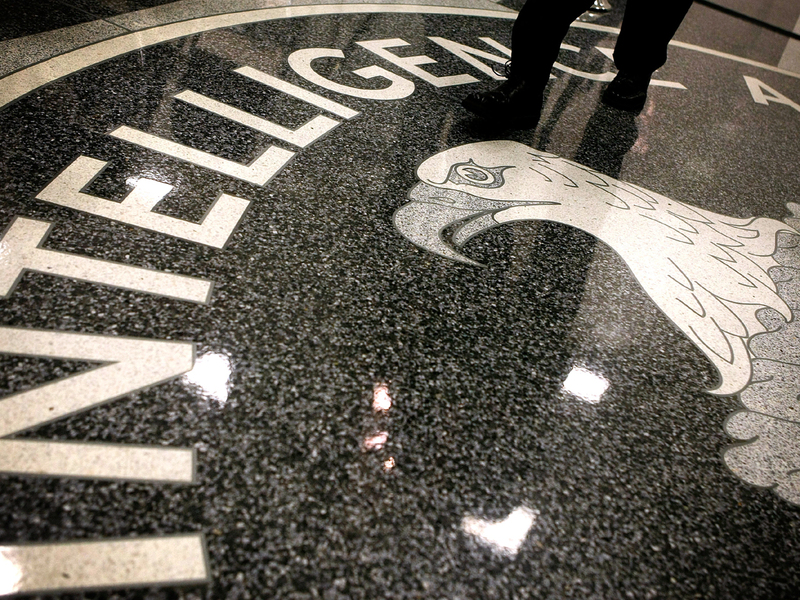 The Central Intelligence Agency is exploring ways to boost the speed and sophistication of its hiring process as it confronts an unrelenting demand for applicants with competencies in language, STEM and cyber fields, its top recruiter says. In a rare interview, the CIA's chief of Talent Acquisition, Sheronda Dorsey, told host and CBS News senior national security contributor Michael Morell that the agency plans to introduce virtual interviews, which will be conducted via commercially available technologies, in the fall. It is also exploring ways to accelerate its lengthy security clearance process by using artificial intelligence and "other technical means," Dorsey said. "Our goal is to get below 345 days," Dorsey told Morell, noting the challenge, common to intelligence agencies, of hiring efficiently while minimizing the risk of insider threats. "We want to make sure that the people that we're onboarding are trustworthy," she said. "What we don't need is to bring someone in that we have not clearly vetted and poses an internal threat – not only to the organization, but to the nation at large," Dorsey said. Of the more than 50,000 applications the CIA receives annually, Dorsey told Morell, STEM applicants are among those in highest demand. "Corporations and a lot of other governmental organizations are competing for the same talent that we're looking for," she explained – adding that language skills are still highly desirable among candidates, "regardless what their technical competencies are." Generally, the recruitment process remains "very extensive," she cautioned, with skills assessments, interviews, medical and polygraph examinations and an in-depth background investigation typically following an initial, successful, application. Two significant requirements for applicants include U.S. citizenship and a willingness to move, at least for a time, to the Washington, DC area. Significant disqualifiers include a felony record and, after the start of the security clearance process and upon advisement by the agency not to do so, using drugs or obtaining or possessing other illegal materials. Those applicants contending with the ubiquitousness of social media, Dorsey said, should know a discreet virtual footprint is acceptable. "Many of the agency employees are on social media," Dorsey explained, "you can have a social media presence." "But if you are specifically applying to CIA," she continued, "you should not be posting that you are coming to visit CIA, or that, 'I'm interested in CIA. '… Do not take a picture of any of our buildings in the background," she said. Nor should applicants abruptly shut down their accounts upon applying. "Continue to post as you normally post – just don't post anything about the CIA," she told Morell. Dorsey, who joined the agency as a Soviet Ground Forces analyst in 1989, also shared some details about her own experience rising through the ranks as a young, African-American woman. After a senior analyst made a dismissive comment early in her career, she said, "I questioned, 'Did he say that because I'm young, did he say it because I'm black, or did he say it because I was a female?' I set off on a journey to ensure no one ever said that about me," Dorsey said. "I was very much focused on setting a standard that I was just as good as anyone else. And that has followed me throughout my career." It has also informed Dorsey's approach to her role today, she says, noting that while the CIA has made "significant strides" in boosting diversity in its ranks and leadership – including by naming its first-ever female director, Gina Haspel – "we can't rest on our laurels, and we still have much more work to do." The agency – whose own internal reports have cited the need for cultural and systemic changes in the way it advances its employees – is known to have struggled in some of its efforts to attract and meaningfully accommodate applicants of non-white, non-male, non-heterosexual backgrounds. "As we look at diversity and inclusion, with our global mission, we need diversity," Dorsey acknowledged. "We need to be inclusive across the board. Because when we're working with other cultures and engaging people of other cultures, that is a part of diversity." Even as the agency aims to seek out differences that reflect the country its workforce serves and the world in which it operates, Dorsey said, an undiminished and unifying quality of its officers is their desire to protect and to serve – ultimately, alongside one another. "You find yourself going to places you never envisioned yourself going, and doing things you've never envisioned yourself doing. And for me," she told Morell, "What I have found, is not only the importance of mission, but I found a family that comes together – regardless of what's going on – to support each other."